The London College of Fashion has announced an exciting exhibition on Coco Chanel, entitled Coco Chanel: A New Portrait by Marion Pike, Paris 1967-71. This new exhibition explores the life stories, friendships and entwined creativity of the two extraordinarily talented twentieth century women. 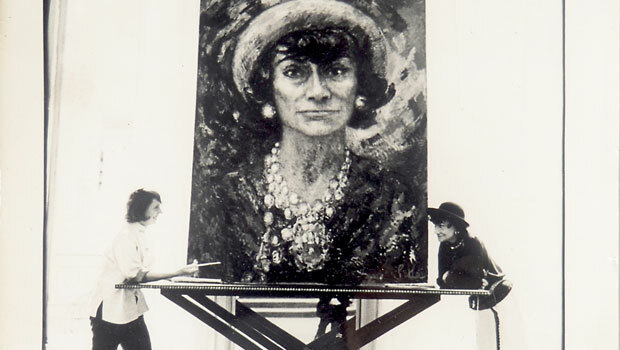 This September the college will put on display five portraits of Coco Chanel, painted by her Californian artist friend, Marion Pike. The show will be the first time all five portraits will have been on display together, and has been a unique opportunity for curators Amy de la Haye and Judith Clark to explore this profound friendship. The show will also examine creative influences upon the two women’s work. The first time Coco sat for Marion was in 1976, when she was 87 years old and already a world-recognised fashion icon. Marion had been commissioned to paint a huge-scale portrait of Coco to exhibit her supreme talent as a colourist. The portrait ignited a friendship that lasted for the rest of Coco’s life. Opening on 4 September and running until 16 November, the exhibition will also include haute-couture pieces worn by Marion and her daughter, Jeffie Pike Durham. You can find the exhibition at the Fashion Space Gallery at London College of Fashion, 20 John Princes Street, W1G 0BJ. Entry is free. See you there!